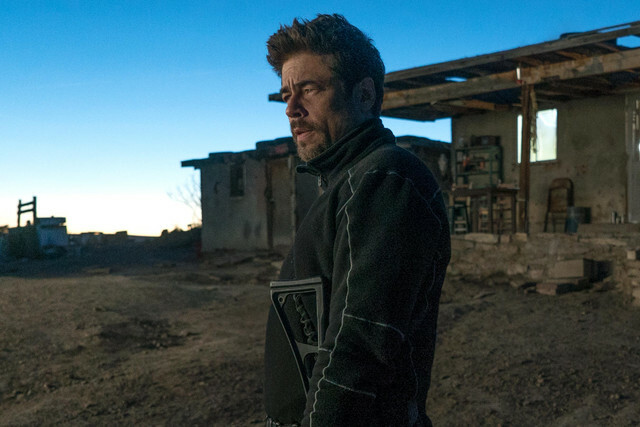 Lawyer turned mercenary Alejandro Gillick (Benicio del Toro) and Department of Justice consultant Matt Graver (Josh Brolin) continue the bullet-riddled adventures in Sicario: Day of the Soldado which portrays employees on both sides of the law whose allegiances to their employers have submerged them in a state of psychological blankness. Their ethics or ideals dominated by the directive of a successful mission by whatever means necessary. The structure of the film, directed by Stefano Sollima and written by Taylor Sheridan, is in lockstep with characters who find themselves shuffled from one locale to another, the protocol of their jobs interrupted and contradicted by the whims of their superiors. Gillick and Graver must stop some cartels. But as they go on they are removed from the events leading up to that mission's impetus as much as they are from each other. After an attack on a supermarket, Graver is called into action, his ugly expertise in clandestine matters leading him into the office of the U.S. Secretary of Defence, James Riley (Matthew Modine). Graver is to apply a “lesson” the U.S. learned in Iraq by creating infighting within Mexico's drug cartels under the supervision of Cynthia Foards (Catherine Keener). Isabel (Isabel Moner), beautifully persuasive as a prod to Alejandro’s conscience is perhaps the smartest and the most sympathetic female character Sheridan has ever written. 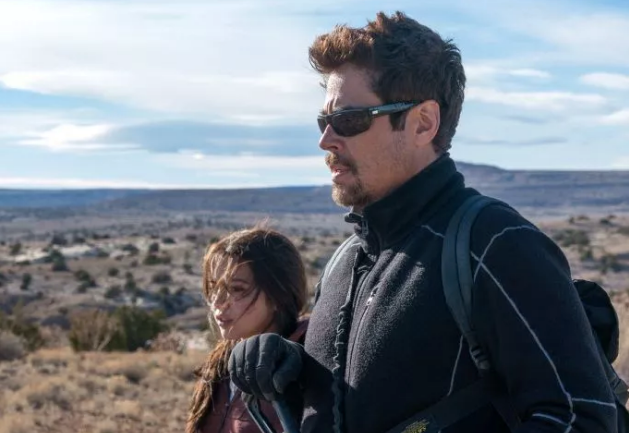 Very unlike Emily Blunt’s naive FBI agent in Sicario, who fires a shot at Alejandro, or Elizabeth Olsen’s green FBI agent in Wind River, whose worst call leads to a wholesale slaughter of her own men. From the moment she emerges from her protective kidnap headgear, she keeps her wits about her. She displays a penetrating intellectual and emotional awareness and is able to see through the carefully constructed fiction that her father’s criminal enemies snatched her. She recognises that Matt and his men are soldiers, not policemen—and that Alejandro has other dimensions. Her vitality opens his deadpan, just a crack, so his emotions gradually pour in. Sheridan’s confident and open-ended script accentuate the more relaxed performances. Brolin and Del Toro’s chemistry makes us believe that Matt and Alejandro could be friends and not merely hard-guy conspirators with a shared sense of gallows humour. They’re scarred soul mates, even when they act at cross-purposes. Although Sollima’s film is unbothered, for the most part, by the plight of refugees, it has the most significant character-a child witness-on the fault line where Mexico and America grate against each other. The film is in time to benefit from every belligerent tweet, crying child and political point scored in the chaos of the current Mexico/U.S. border crisis. 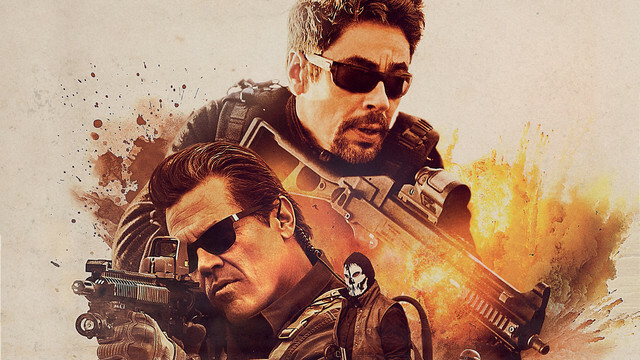 The unspectacular box office success of the first Sicario did not merit a follow-up. But Sheridan and his producers sensed a hunger for a straight-up genre exercise. Some have already declared the sequel to be better than the original. This sequel delivers a rugged, socially conscious shoot-’em-up, but the heiress-assassin relationship makes it distinctive.